Former Food Network star Willie Degel hopes to create ‘willionaires’ by taking his Uncle Jack’s Steakhouse brand into the franchise world, with plans to go public within two years. He’s known as the king of steaks. 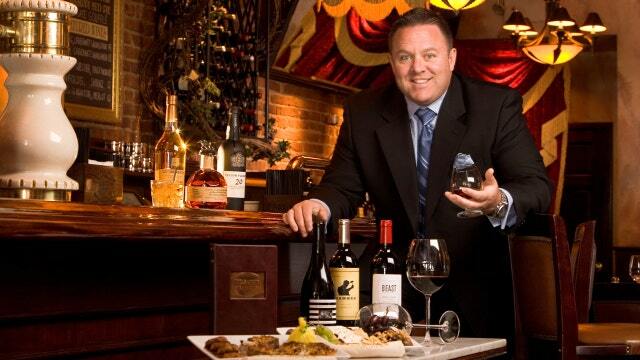 Willie “Jack” Degel has served a slew of celebrities over the last 20 years at his upscale Manhattan restaurant, Uncle Jack’s Steakhouse. Now, the former Food Network star is hoping to create an empire by taking his brand into the franchise world. “I built this high-end identity – Now I’m trying to fill in the other check averages to be diversified so I can get to the masses,” Degel, founder and CEO of Uncle Jack’s Steakhouse, tells FOXBusiness.com. Degel is hoping to reach a millennial audience by expanding this brand into four different concepts; Uncle Jack’s Steakhouse, Jack’s Shack, Uncle Jack’s Steak Sandwich Shop and Uncle Jack’s Meat House. “When I opened up Jack’s Shack, I knew I wanted to franchise those. I definitely saw them as an opportunity to grow and build other entrepreneurs. I want to create an army of ‘willionaires,’ which are millionaires within my system,” he says. The self-taught chef says if Subway restaurants can do it, then he can too. “They have paved the path for us but the consumer is dying for the next level. They’re dying for the truth, the real product. Is Subway fresh? Um, no,” he adds. Restaurant consumers today are smarter he says; They want organic, all-natural food, and most importantly, they want to know it’s not mass produced. Now, it’s much harder to build a restaurant brand Degel says, and that’s why he wants to help out the next generation of entrepreneurs. By 2017, Degel plans to have 12 to 15 locations around the country and then hopefully take his company public. Degel, who is known for his strong New York accent and street tough tactics, says he knows it’s going to be a tough road to get there.